Oh boy I’ve been crazy busy this week. It was the final week of uni for the year, so I had a lot of things due all at once and it was total chaos. I had a semester long group assignment for my advertising class, which was a total headache. But, the assignment came together well in the end and I walked away from another group assignment without killing anyone. What’s exciting was that everyone in the course worked on a pitch/campaign for Transplant Australia, the nation’s organ and transplantation organisation. They approached the uni with the intention of using us as lab rats (I’m kidding), but our course convener managed to turn it into an assessment for us…yay. Basically, we had to come up with a creative campaign to help boost organ donation rates for a specific cultural demographic. A lot of sweat and tears went into this assessment and I think it paid off quite well in the end. So Friday was when everyone had to pitch their creative campaigns in front of the class, and at the end of the day, a few of the most creative groups were chosen to pitch their idea again, but to the client. Out of 39 groups, my group made it to the top 8 spot and we’ll actually get to pitch to Transplant Australia on Wednesday. Woop woop! This is actually really exciting news because if they love our idea, it could potentially be used in a campaign across Sydney! So yes, because of that, I’ve been extremely busy over the past week and have barely been able to crack open a book. Hopefully things pick up next week, but exams are fast approaching and I’ve fallen behind in a few subjects. 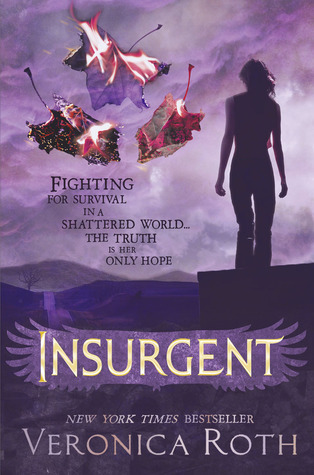 This week, I managed to start reading Insurgent by Veronica Roth. It’s been an incredibly long time since I’ve read Divergent so I honestly have no idea what is happening. I think I’m four chapters in, and I’m still confused so a little bit of googling for the summary will have to happen soon before I can really dive back into the book. I’m really hoping that this book is as great as everyone says it is. I really want to get to Allegiant so I can finally understand what everyone is going on about regarding its ending. And so I can finally stop avoiding all the spoilers on the Internet. This book kept me guessing till the very end. 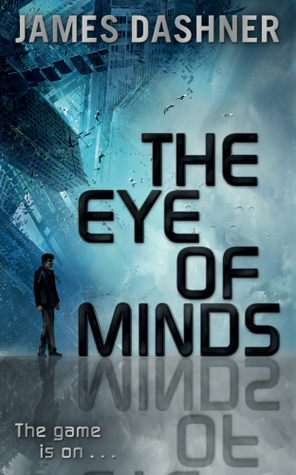 If you liked The Maze Runner, Dashner’s new series will not disappoint. The ending is seriously a ‘wtf’ moment, so for all science-fiction fans out there, check out my REVIEW and go and pick up a copy for yourself NOW! Check out the cover review for Wasteland HERE. Check out the Book Blitz & GIVEAWAY for Jill Cooper’s third book in her The Dream Slayer series – Dawning Apocalypse HERE. Such a busy week – how was yours? What have you been up to?